Ray Bradbury is dead. I'll miss him like an old friend, even though I never met the man. I would say that "a part of me died" when I heard, but that (besides being an anemic cliché) would not be true. I may be sad over losing a one of my most beloved heroes, but Ray is no farther away from me now than he was before. He is truly a part of the man I have become, regardless of whether that means something good or something bad to those around me. 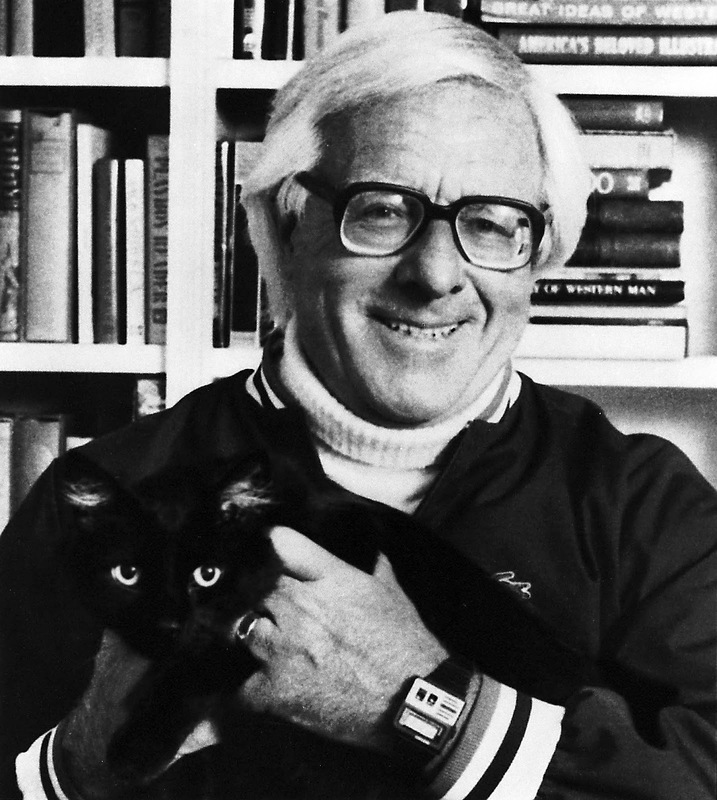 Ray Bradbury has lived in my wondering eyes from the first time I picked up his work as a younger man who was astonished by the spectacle of boundless poetic mysteries spinning through his prose like children behind a rain-wet, sunlit window -- their dance a celebration that was half High Mass, half Midnight Carnival. Ray's writing made me want to write, and write and write. The more I drank, the thirstier I got. He was the kind of writer who opened his heart’s front door to let his readers in for a stay. He didn’t just shove pages at you like some prancing purveyor of self-perceived wisdom. Reading his stuff was never like watching a movie -- more like stopping over for coffee and cake and talking into morning. You could always put your feet up on the furniture in Ray’s heart; you never had to use coasters; you could sit there, silent, and never feel obligated to say a word; you could pick up the knick-knacks and flip them up in the air as much as you wanted -- no matter if you missed and they shattered on the rug; it was okay to discuss anything from Kafka to Steinbeck to baseball in there; the TV showed Shakespeare and “B” horror films in dappled black and white and they were all great fun and there was always popcorn to munch. He was, for me, a man to admire for both the person he was and for he magic he spun out of sincerity, imagination and mere phonemes. 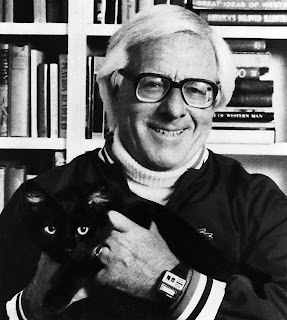 Ray Bradbury proved that the fire of youth never has to die just because the body gets older and the mind fills with the dreary drizzle of practical drops. He threw away the worse part of childhood and the worse part of adulthood and kept the rest close. He never got blasé. He smiled in pictures, forgoing the stuffy smirks and affected accouterments of many other successful writers who'd never have a hope to reach his legendary heights. We know the writers we love -- in some ways, better than we know our best friends. Our best friends don’t usually write poems and stories and novels that reveal their souls and minds to us. Writers do this for complete strangers -- strangers who may never meet them face-to-face but who will always know them heart-to-heart, so long as the message is pure and the reader "gets" it. I knew you well, Ray. I still do. May "flights of angels sing thee to thy rest," and may they, along the way, mention how much you meant to one particular nobody of a writer from New Jersey.